Find text on a page. Zoom in to make web pages appear larger. View browser history and download history. View the HTML source of a web page. 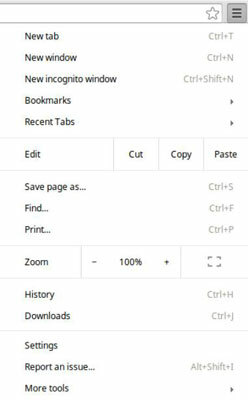 If you’re not sure how to go about doing something in the Chrome browser, the Settings menu is a good place to start looking.